1. What hours are the offices open? We absolutely are accepting new patients. We love this question because we could never figure out why some dental offices don’t want new patients. We love new patients! We welcome new patients with open arms! New patients are the growing force of a dental office and they let our office get a feel for how well are doing. We get new patients all the time. Some come from our website, others come from insurance companies, but most of our new patients come from direct referral. This is when a patient is happy with their care and they tell their friends, family members and coworkers about our (wonderful) dental office. Everyone knows that the most reliable way to find anything or anyone is to ask people you trust for their opinion. So when people tell others about our dental office we feel honored. With this vote of confidence, comes our commitment to take care of them in the same kind caring and respectful way. New patients make our dental world go round and round. We consider ourselves fortunate for receiving so many. 3. What do you do with a patient who is scared? We are at our best when a patient lets us know they are scared. Our team knows many people fear going to the dentist and are “over the top” awesome in the care and comfort department. A talented, experience, and caring dental team is the key here. We also have nitrous oxide, cushy pillows and millions of smiles. We can help. When we’re done, most patients realize that they were not scared after all. 4. Do you allow payments? We understand that many people delay dentistry due to cost; therefore we are proactive in respecting and honoring their budget, so patients with and without dental insurance find that dentistry can be affordable and planned to fit into their pocketbook. Treating the most needed areas first, having treatment options, and maximizing dental insurance are just a few of the strategies that we use to help our patients get the most out of their dental dollars. Regardless of cost, we can find a payment option that works for you. Yes. All three of our locations have great parking available nearby. It’s always nice to know exactly where you are going before you get there and our website has great pictures and maps of our location and parking areas. 6. Do you see children? Absolutely! We love kids. Our office team is packed with people who are parents. We get it. In fact, we get it so much; we usually regress into kids ourselves. For younger kids we have water guns, chair rides, kid movies, and the best toy chest in Kansas City. For older kids, we have movies and encouragement about making your smile and breath fresh and appealing. By making dentistry fun and interesting, your kids will be begging to come back…..honest. 7. Do you take emergencies? Yes. Emergencies are our highest priority. As dentists, we feel that it is our fundamental calling to assist others in need of emergency care. We offer same day emergency service. Since we are open 5 days a week, you never have to worry about our office being closed. A toothache, an accident, whatever, when you need us, you go to the front of the line and we will be there to help you. 8. How long should I allow when scheduling a cleaning? If you are a new patient you can expect to spend an hour to an hour and a half with us at the first appointment. When scheduling for your re-care appointment, which depending on your oral health may be at 3 months, 4 months, or 6 months, you should allow 45 minutes to an hour for a visit. 9. I called the plaza and meant to call Independence; can you schedule an appointment for me for that location? Yes. Since all three of our locations are on the same computer system, we are able to schedule appointments, check your account balance, and answer any questions you may have from any office. Isn’t this awesome? We find this super convenient for our patients because they can call any office and receive the help or answers they are seeking. 10. How long have the doctors been practicing dentistry? Dr. Anderson and Dr. Thigpen have been treating patients for over 25 years. That is a lot of experience! But what is more impressive than the years of experience is the positive attitude that each of our doctors has. No burnout here. By having 4 doctors with multiple talents and knowledge, and a desire to continue to learn and grow and collaborate, we have created a team of talent that we feel is second to none. 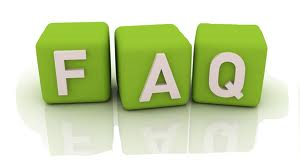 I hope you found the answer to your dental questions here on our dental FAQ. If not please call an we will be happy to answer any question you may have.